Zimbabwe introduced a new currency Monday, but citizens of the foundering African nation aren’t exactly embracing the so-called “bond note” money. Zimbabwe has been operating to a large degree on US dollars since 2009, after the Zimbabwe dollar was abandoned following some of the worst inflation in world history – peaking at something akin to 500 billion percent – that left residents barely able to buy such items as a single egg with a 1 billion dollar banknote. The government introduced the new currency in the form of 1 dollar bond coins and 2 dollar bond notes to address the shortage of US dollars and to boost exports. But many say they aren’t buying into the government’s plan. Proof that government dictates and reality often don’t match up could be seen in the fact that Chitongo was charging $20 in US dollars per pair of shoes but 25 dollars in bond notes. He would use the difference to buy US dollars on the black market, he told AFP. What will shortly begin happening in Zimbabwe if citizens lose confidence in the new currency is that bond notes will be refused, or, if citizens are legally required to accept them, they will keep the US dollars and pass the bond notes on to someone else as quickly as possible. Following the collapse of the Zimbabwean dollar in 2009 the country switched to a multi-currency system, according to Newsweek. At least nine currencies are now legal tender in Zimbabwe: the US dollar, the South African rand, the euro, the British pound, the Australian dollar, the Botswana pula, the Japanese yen, the Indian rupee and the Chinese yuan. Not all are accepted by Zimbabwean traders, however. The US dollar is the most widely-used currency. Zimbabwe’s economy collapsed under President Robert Mugabe’s chronic mismanagement. The nation’s leader since 1980, Mugabe sped redistribution of Zimbabwe’s farms from white landowners to blacks through forced confiscation beginning early last decade. Coupled with corruption and misconduct, droughts and an AIDS crisis, the nation of 13 million collapsed economically in 2009. In fact, inflation was so bad it’s not certain whether anyone knows the exact rate at its peak. In an effort to win citizens to the new currency, the central bank recently launched an advertising campaign trying to allay people’s fears, saying retailers and businesses had agreed to accept the new currency. However, opposition to bond notes has sparked fierce anti-government protests which have resulted in brutal police crackdowns. Police on Monday broke up a protest planned by the pressure group Tajamuka in Harare and arrested the group’s spokesman, according to Agence France-Presse. In past few weeks, many Zimbabweans slept in lines outside banks so that they would have a better chance to withdraw US dollars from their accounts. Many are concerned that their US dollars were going to be converted into bond notes. Banks, however, put severe limits on daily withdrawals, just $50 a day, up to $150 a week. 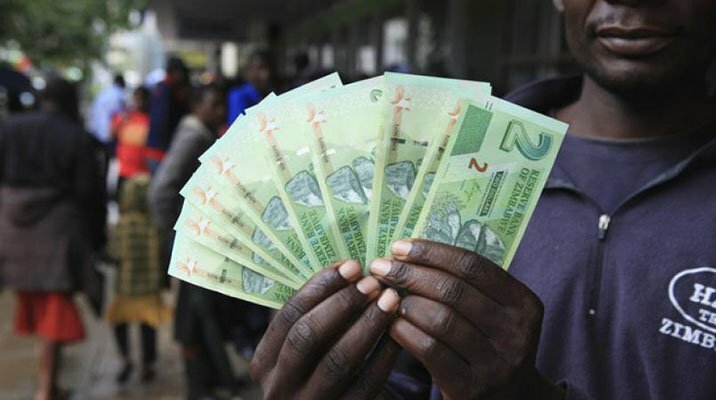 “I will take payments in bond notes but the big question is what do I do with them since some shops are refusing to accept them?” Lewis Mapira, a taxi driver in Harare, told AFP. Safe to say it will require just a bit of reconstruction, perhaps beginning with new walls, new roof, new windows, and a rebuilt chimney. However, the granite block foundation remains as solid as when the home was build more than a century ago. This could have once been the home of a sharecropper or tenant farmer, or it may have been owned by the individual who farmed the land around it. Whatever the case, the structure looks to have been vacant for at least a quarter century. Located in rural Saluda County, SC, it will almost certainly continue to deteriorate. It would be far less expensive to simply replace this structure with a new, modern home rather than attempt to make the wholesale repairs needed to get within earshot of bringing it up to code. 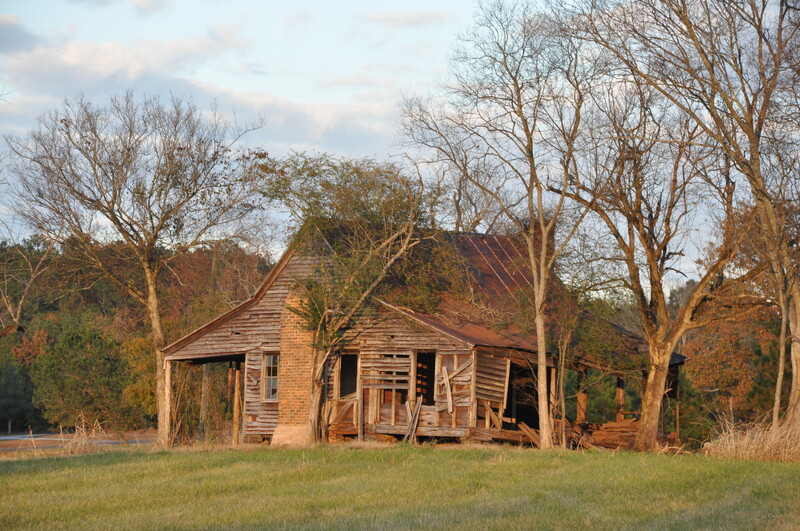 These decaying edifices can be spotted throughout the rural South. Some are used for storage, others, in somewhat better condition, are still habitations, even though they lack many of the amenities common in cities and suburbs. Many are on the slow path to oblivion. As they deteriorate, wood, tin and stone are often scavenged for use elsewhere. Eventually, little or nothing remains and vegetation eventually covers over any reminder of the homestead. These old houses are sometimes romanticized by individuals passing by on drives through the country, but to those who grew up in such shacks, particularly if conditions were like those experienced by many poor sharecropper families, the memories are often less than rosy. 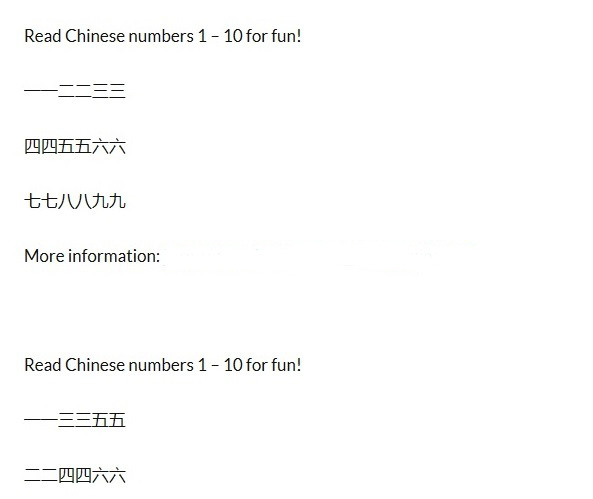 Blog posts on Chinese Numbers include “Read Chinese Numbers 1-10 for Fun.” How could I resist? I clicked on the post and got what appears below (I erased the link that appeared behind “more information”). What fun, indeed. The exclamation points were utterly superfluous. Also, when you click on the “about” section of the blog, used to provide background on the blog or author, it reads: “This is an example of an about page. Unlike posts, pages are better suited for more timeless content that you want to be easily accessible, like your About or Contact information. Click the Edit link to make changes to this page or add another page.” So, no one bothered to even describe what the blog was about. Sounds legitimate to me. Others that have begun following my blog in recent months include the usual mishmash of sites selling male enhancements products, art, photography, architectural designs, books, publishing services, etc. On the other hand, you have the particularly focused blogs that are quite fascinating. Sharks Parasites and Zoology comes to mind, along with Crusader History and To the Sound of the Guns. I’m certainly no expert in, for example, sharks, parasites or zoology, but find all three interesting, having caught sharks, attracted my fair share of parasites and enjoy seeing, catching and studying animals in general. I have much respect for individuals who specialize in a legitimate area of study, and are able to cogently express their knowledge and interests in words the average person can grasp. There are also a handful of high-quality writers out there who are able to touch on a wide range of topics. Waldo Lydecker’s Journal, a North Carolina blogger who succinctly writes on a variety of political and social issues, An Sionnach Fionn, who describes his site as “Irish Republican news and opinion” but is so much more, The Venomous Bead, who describes her blog as “themeless” but writes with both knowledge and wisdom on myriad topics, and roughseasinthemed, a Brit who lives in Gibraltar and Spain, and adroitly mixes common sense with a desire for justness, all come to mind. Unfortunately, for every one of the above, all of which I have followed for some time, there are at least 50 blogs set up solely to sell merchandise or services, push spam or for simple self-aggrandizement. 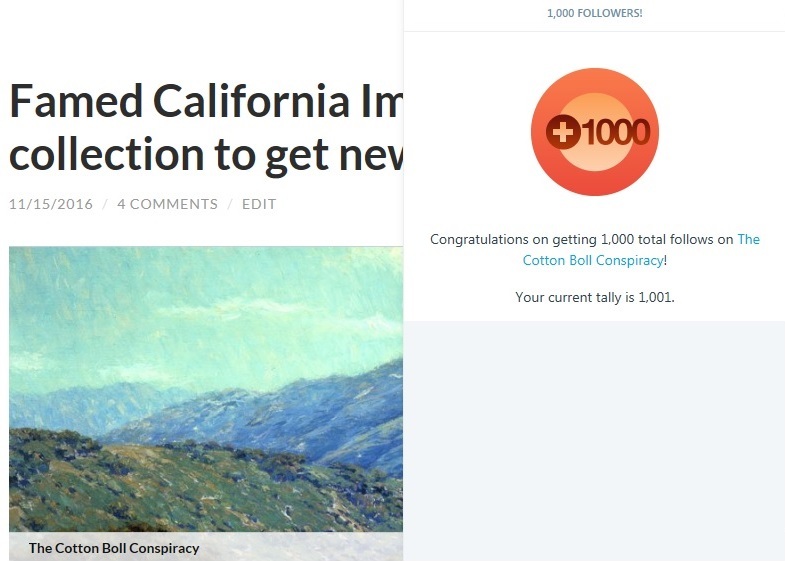 In other words, of the 1,000 followers listed for this blog, it’s likely at least half are nothing more than shills for products, services or worse. That said, to those of you who have taken the time to read this blog since it began eight years ago, you have my thanks. I’ve enjoyed the opportunity to deliberate with you who have both agreed and disagreed with me, and on more than one occasion I have been forced to rethink my position(s). I’d like to think I’m a better writer and a better person for having embarked on this enterprise. The collection, valued at $17 million, is composed of approximately 1,200 works and is currently housed in the Irvine Museum. It was established by Smith in 1993 to exhibit California Impressionist works that reminded her of the undeveloped Orange County of her youth, according to the Los Angeles Times. 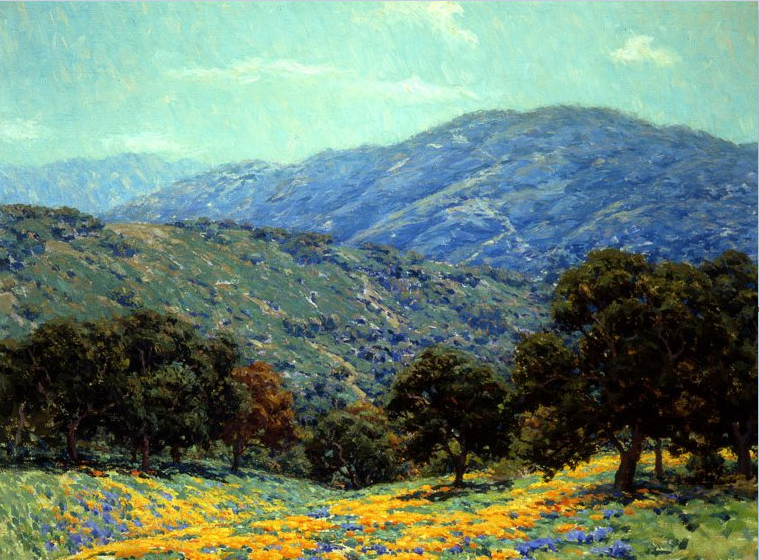 “The Irvine Museum is embracing a principal role in the education and furtherance of this beautiful and important regional variant of American Impressionism that has come to be associated with California and its remarkable landscape,” according to information found on the museum’s website. 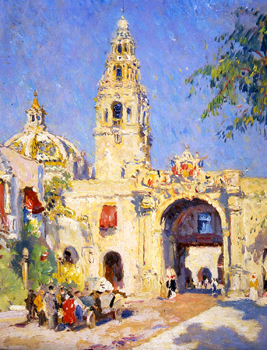 Balboa Park, Colin Campbell Cooper, Irvine Museum. The museum has sent portions of its collection on numerous displays around the world over the past two-plus decades and published 16 books featuring California’s Impressionist paintings done during the 40-year period beginning in 1890. A new museum is expected to be built on the UC Irvine campus to house the collection, which includes works by Guy Rose, William Wendt, Granville Redmond, Arthur Mathews and Edgar Payne. Smith’s goal wasn’t simply to build a new museum, but to highlight issues related to the environment, particularly those facing southern California, according to her son, James Irvine Swinden, president of the Irvine museum. The New York Times’ live election night coverage featured a wealth of information without the babbling talking heads found on network television. Among the more interesting Times’ graphics was the above, which showed minute-by-minute forecasts of the 2016 presidential race as the evening progressed. As is apparent, between 9 p.m. and 9:30 p.m. Eastern Standard Time, a sea change began to take place in the fortunes of both candidates, at least in the eyes of NY Times’ forecasters. Hillary Clinton, who the Times had as a huge favorite at 7 p.m., saw her fortunes slip quickly in the hour between 9 p.m. and 10 p.m., although the election would remain undecided for several more hours. It’s unclear as to why Times‘ forecasters decided shortly before 9:30 p.m. that Donald Trump had suddenly become the front runner. Whatever the reason, as wrong as they were in the beginning, they shortly went all-in on Trump. Corrupt officials scarier than death, snakes, terrorists? Given your choice, what’s your worst fear: homicidal maniacs, venomous snakes or corrupt government officials? 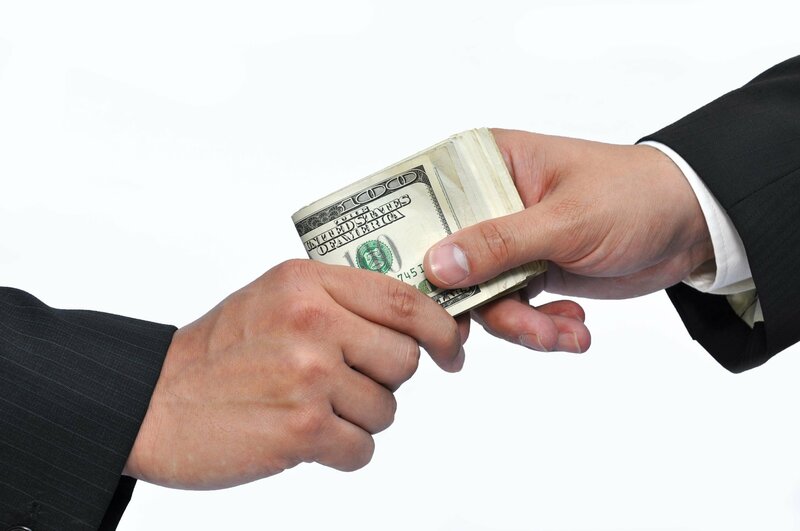 The third annual Survey of American Fears by Chapman University reports that most Americans are afraid of “C,” corrupt government officials, according to a story on the report published by Bloomberg. After corrupt government officials came terrorist attacks and not having enough money for the future. Other items which garnered significant fear among Americans included Obamacare (35.5 percent), reptiles (33.2 percent) and being killed by a stranger (21.9 percent). Curiously, 50 percent more Americans are more afraid of corrupt government officials (60.6 percent) than terrorist attacks (41 percent). What the above points out is that either those conducting the survey or those taking the survey don’t understand the difference between what it means to be afraid of something and what it means to be concerned about something. To say one is afraid of corrupt government officials implies that one lives in a third world banana republic where there is constant fear that Stasi-like thugs will kick open doors in the middle of the night and drag away opponents, rather than referring to unscrupulous politicians who misuse public funds. To be afraid of snakes is a very real fear; to be afraid of corrupt government officials, at least the garden variety ones we breed in the US, is not the same thing. To state a fear of Obamacare, or the Affordable Care Act, indicates a terror of the government program, rather than worry that it won’t work, will cost taxpayers more money or will bring chaos to the country’s medical-insurance infrastructure. You may not like Obamacare, you may think it unwise politically or economically, but do you fear it in the same way as, say, you fear finding a large, angry scorpion in one of your work boots? Nearly 30 percent of Americans are afraid of a devastating tornado, just over 23 percent are afraid of a devastating hurricane, slightly more than 22 percent are afraid of a devastating earthquake or a devastating flood, and 15 percent are afraid of a large volcanic eruption. If you’re a resident of Phoenix, Az., it’s unlikely that any of those items rank high on your list, while someone in Omaha, Neb., might be worried about tornadoes and flooding, but have little fear of earthquakes, hurricanes or volcanic eruptions, at least if they’re rational. Hawaiians have reason to worry about volcanos, but with the rare exception of eruptions like that of Mount St. Helens in 1980, the rest of the US is pretty safe from this threat. Residents of Miami have reason to be concerned over a hurricane, but is it a fear that hangs over their heads like the sword of Damocles? If so, they may want to relocate. Same if you’re a San Franciscan fearful of earthquakes. Finally, 7.8 percent of Americans are afraid of clowns. Personally, it’s not the clowns I’m concerned with, but the people who dress up as clowns.